Planning for some special activities to do over the coming summer months? 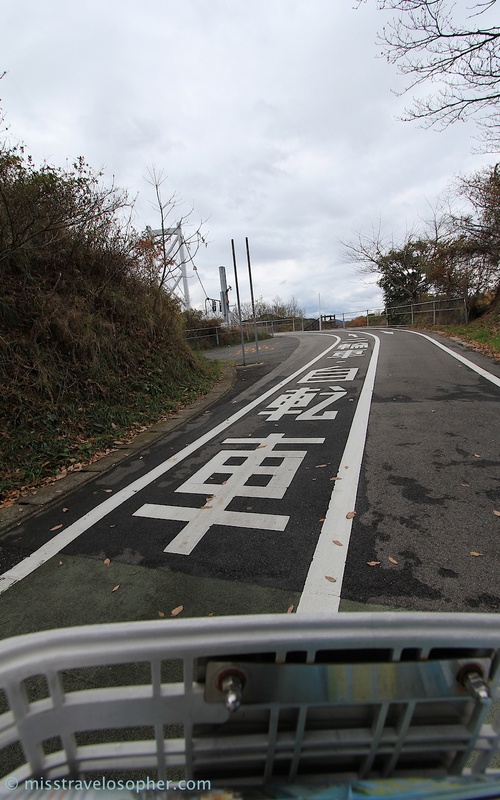 If you love the great outdoors and up for some crazy fun, try to embark on a cycling road trip at the Shimanami Kaido (しまなみ海道) in Japan! I chanced upon this magnificent cycling path while doing random googling, and at a crazy spur of the moment, I actually decided to cover the 71km epic road trip (it is epic enough for a heels-wearing-office-lady me) in the heart of winter. Yup, no typo error there, I did this road trip a few days before Christmas 2012 and winter was exceptionally cold that year. LOL. Was it memorable? Definitely! The trip was special to me as I had just crossed my big 3-0 and I wanted to do something whacky to mark this important milestone in my life. 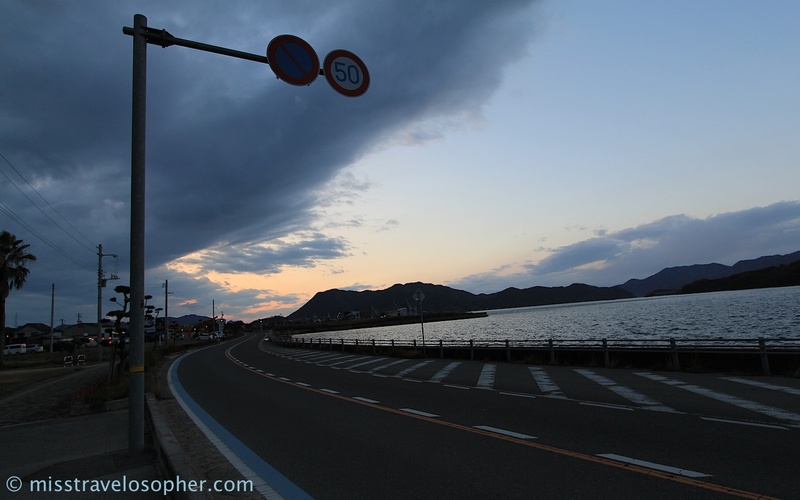 Looking back, I think the Shimanami Kaido did just that for me 🙂 Awesome road trip, I say! 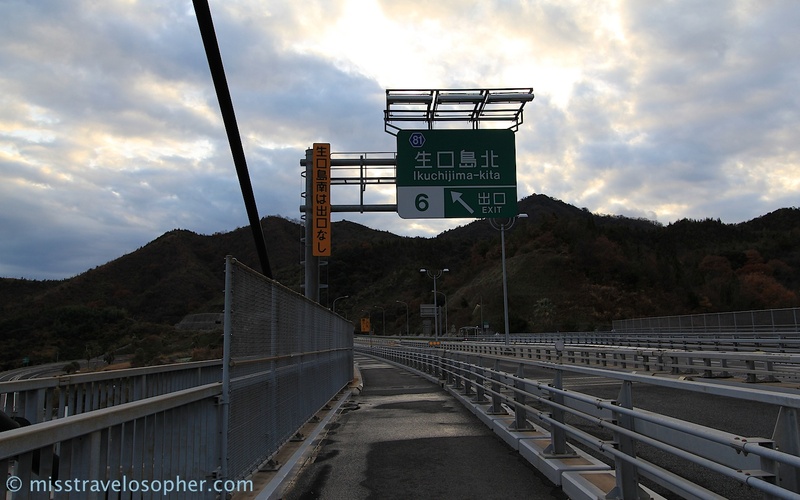 The Shimanami Kaido is a 60km toll road (the distance is longer by bicycle due to the winding bicycle friendly ramps) which connects Honshu to Shikoku while crossing 6 islands and 6 bridges over the Seto Inland Sea. 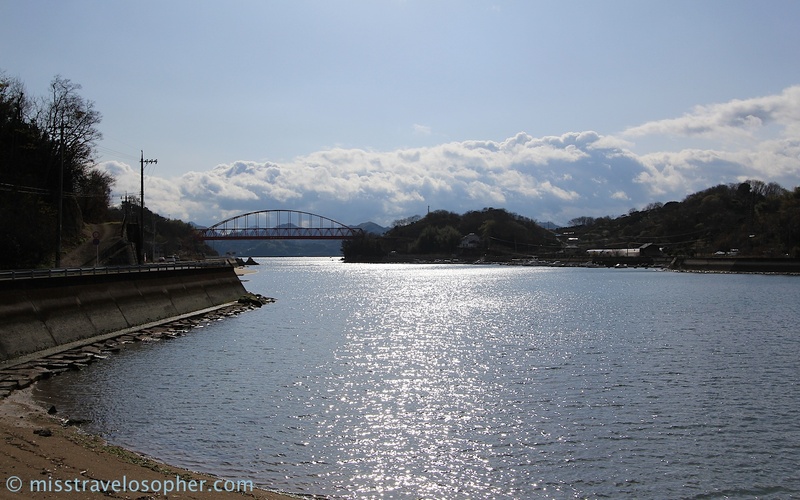 You can either start cycling from the Honshu side (Onomichi) and end at Shikoku (Imabari), or the reverse. 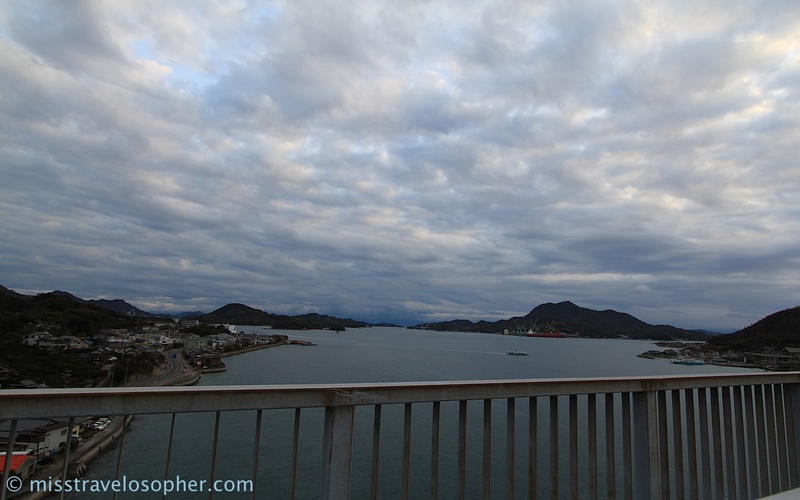 As I was traveling from Kyoto, I started my trip at Honshu (Onomichi). 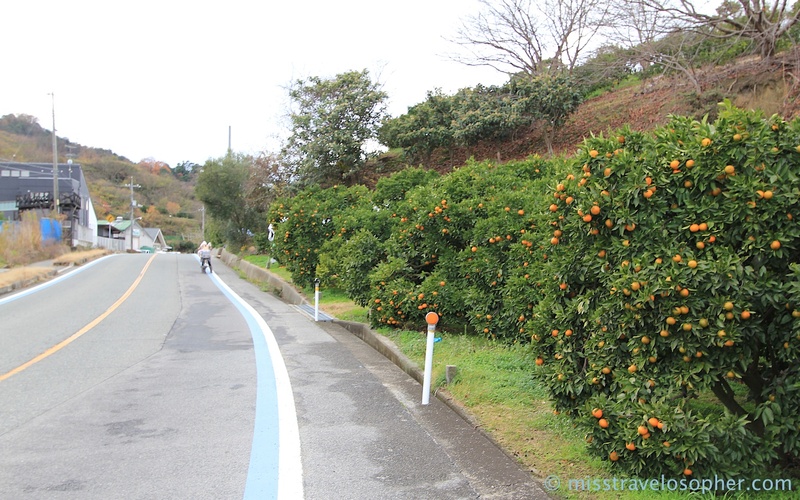 The entire road is marked to make it easy for cyclists to follow the route and there are many stretches which have purpose-built bicycle paths which separates the motor traffic from the bicycles. The 71km cycling journey is short enough for a pro-cyclist or very fit individual to cover within 1 day. For me, I chose to break up the trip over 2 days as I have not much confidence in my own fitness level and I just wanted to take things easy and enjoy the scenery. 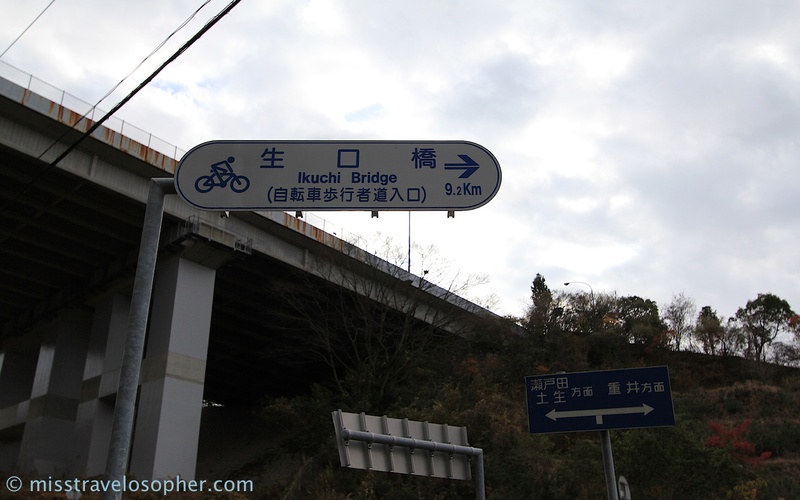 If I look back at which was the best decision I made in 2012, it has to be deciding to cycle the Shimanami Kaido over 2 days. Oh my feeble legs! 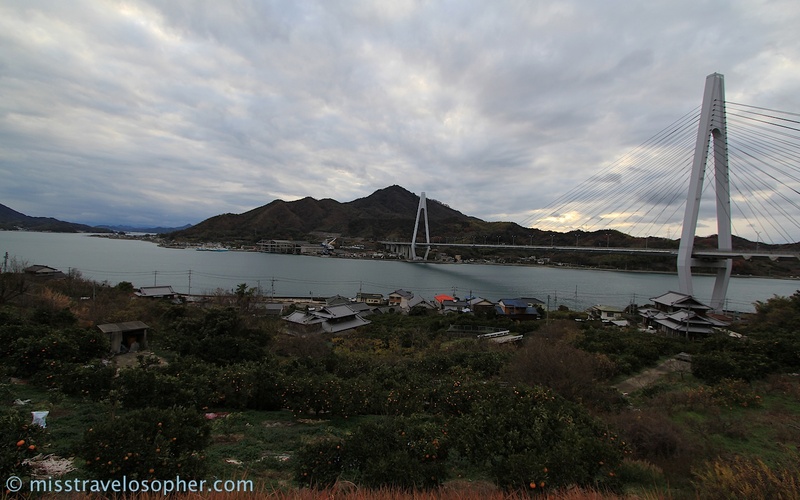 Ok, now back to the topic proper… the Shimanami Kaido! 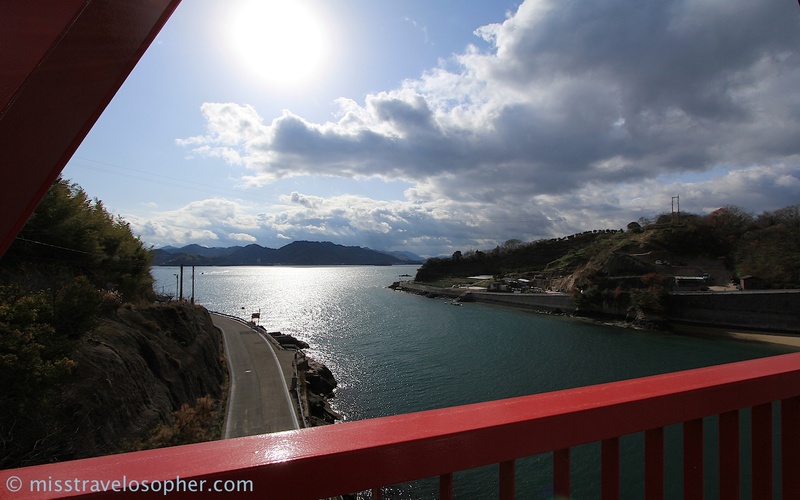 From Onomichi to Mukaishima, the crossing is done via a ferry and the cost is 110 yen. 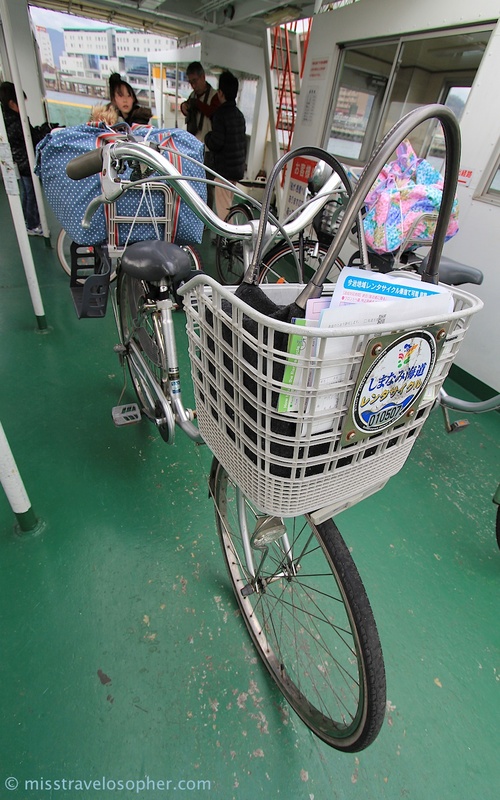 Ferry from Onomichi to Mukaishima. 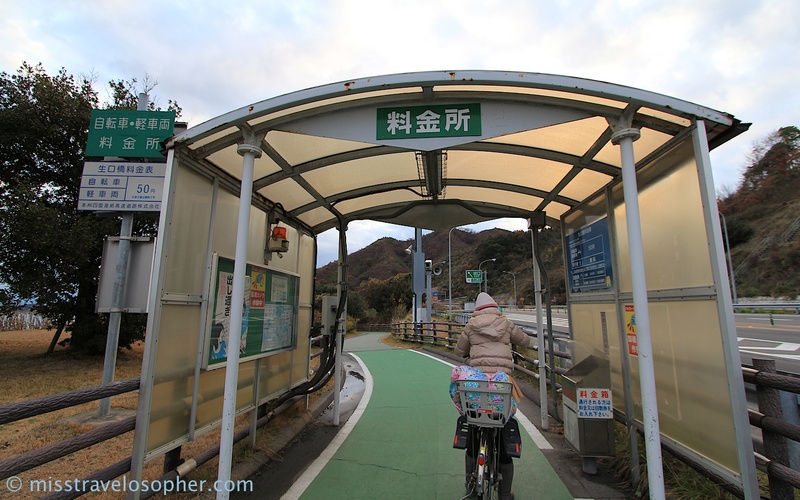 The Shimanami Kaido cycling road starts here! 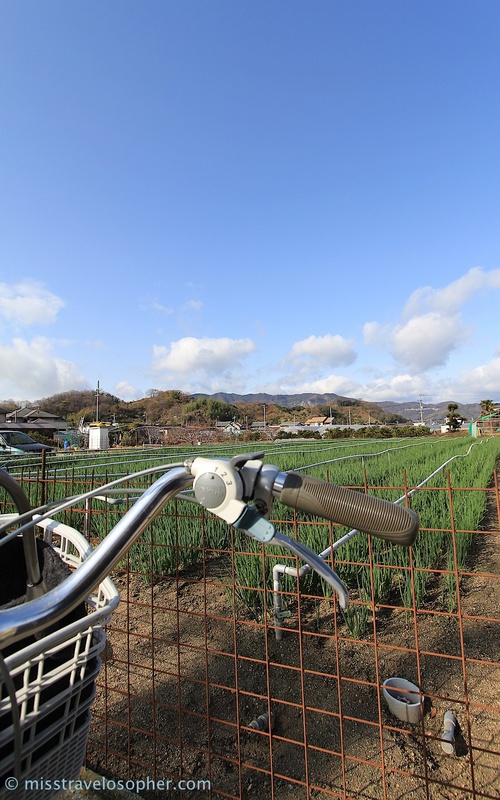 The bicycle, as you can see in the photo is not at all lightweight like what the pros use. The only saving grace was that it had 3 gear changes? LOL. Welcome to Mukaishima!! 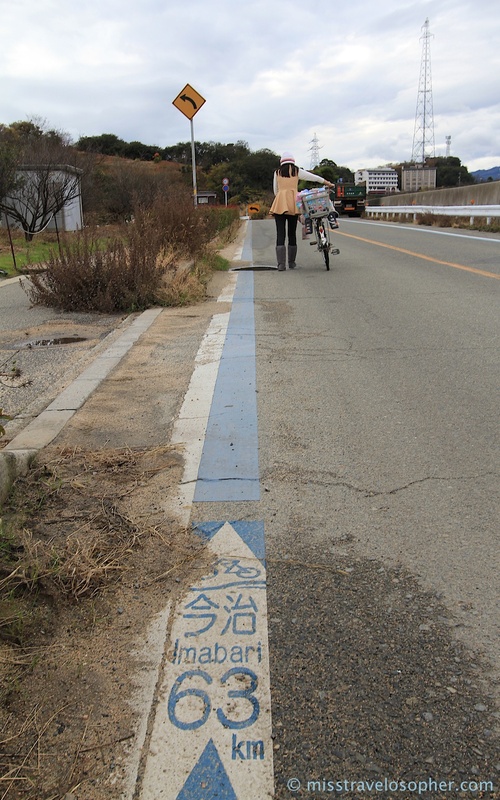 Follow the blue painted line! 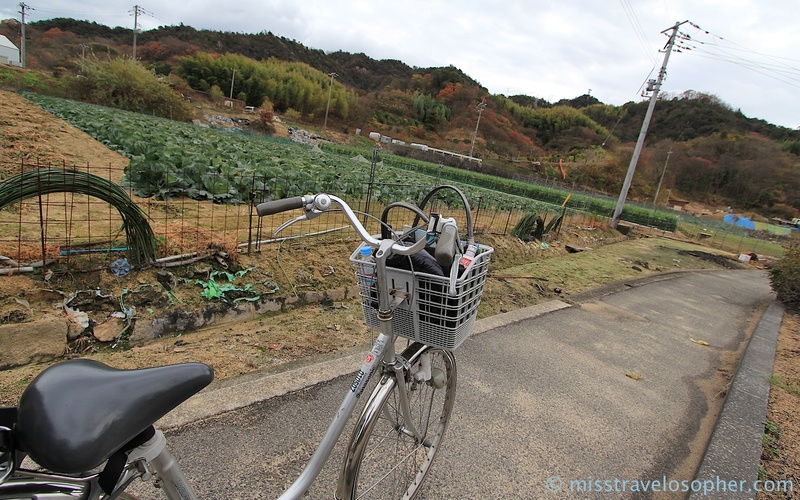 The rural areas on the islands were the best. I love the relaxed atmosphere and this was indeed a great place to be – away from the bustling cityscapes and hectic urban life! First bridge in sight! But no… wrong! 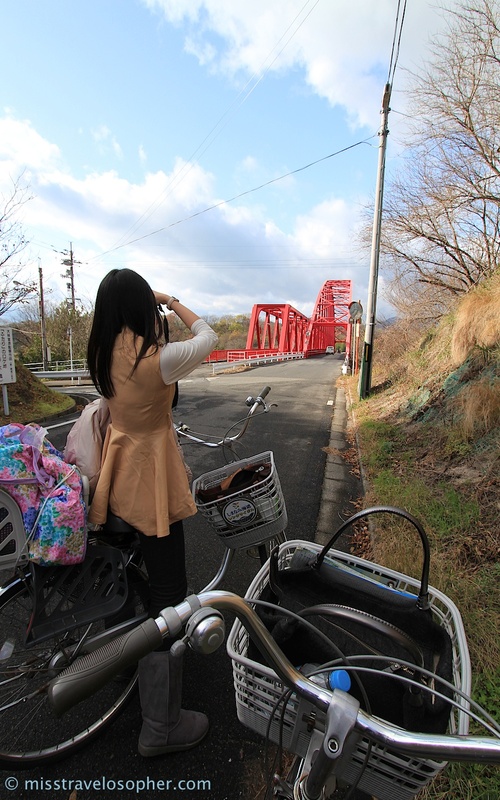 We were supposed to be heading to Innoshima Ohashi bridge and we didn’t pay attention to the photo on the map. 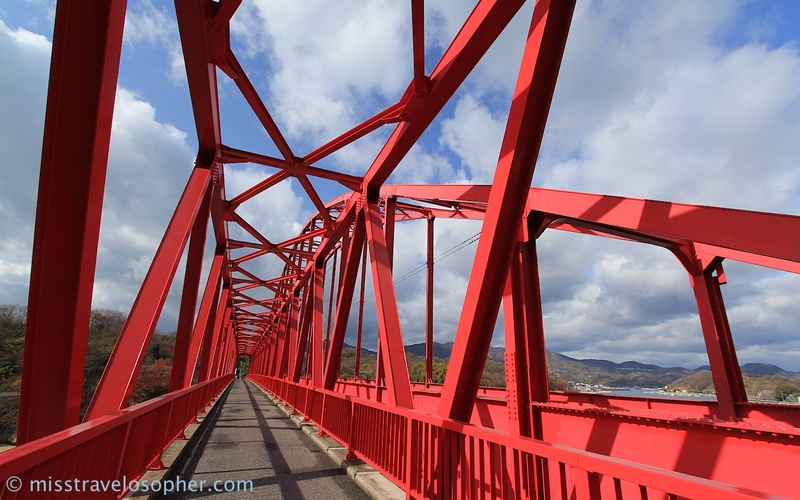 In fact, this bridge looks nothing like Innoshima Ohashi. We only realized when we turned on Google Maps and saw that we were off-course. 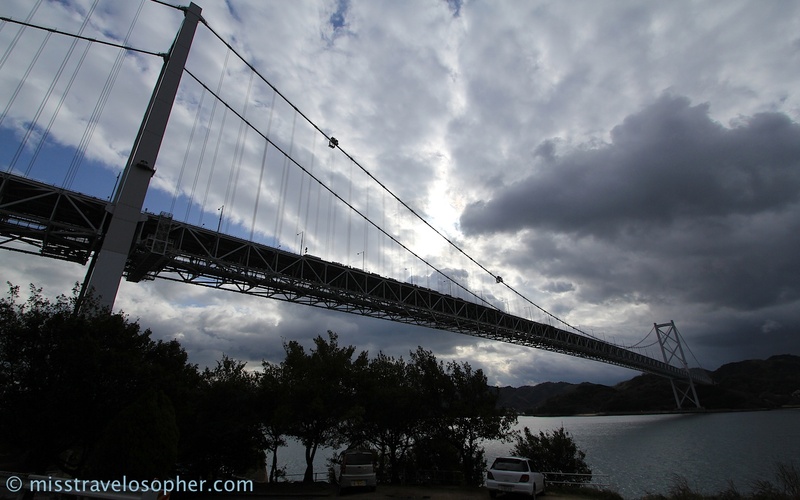 The right one: Innoshima Ohashi bridge! Once you are on the right road, it is tough to miss the signs. Just follow it religiously and it’s hard to go wrong. 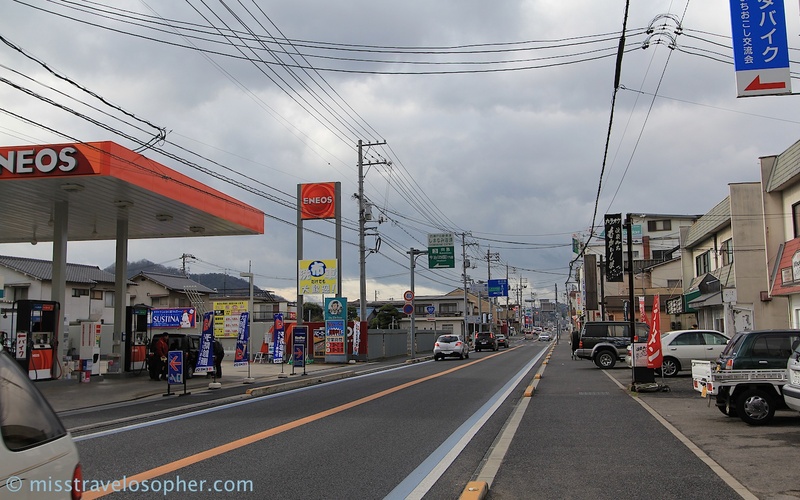 We were just confused by all the traffic and cars at Mukaishima! 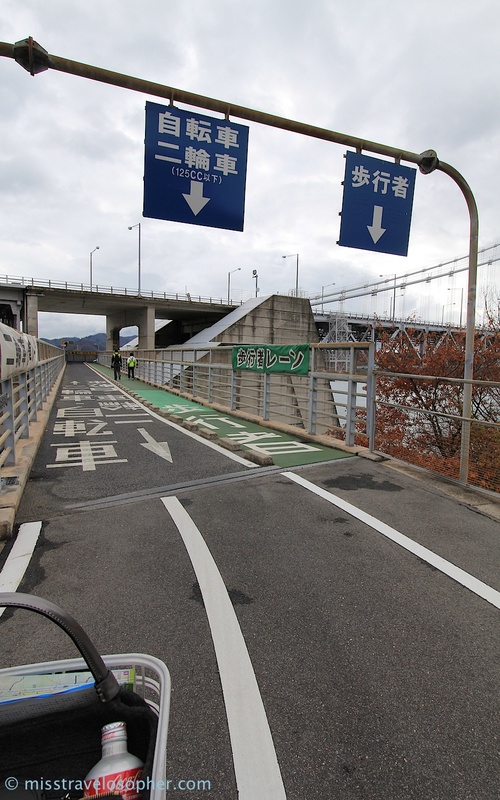 Dedicated bicycle paths appear when leading up to the bridges as the route is meant to be bicycle-friendly with gentle inclines. But seriously, we were weak. Yes, our legs had no strength to pedal up inclines of any kind. LOL. 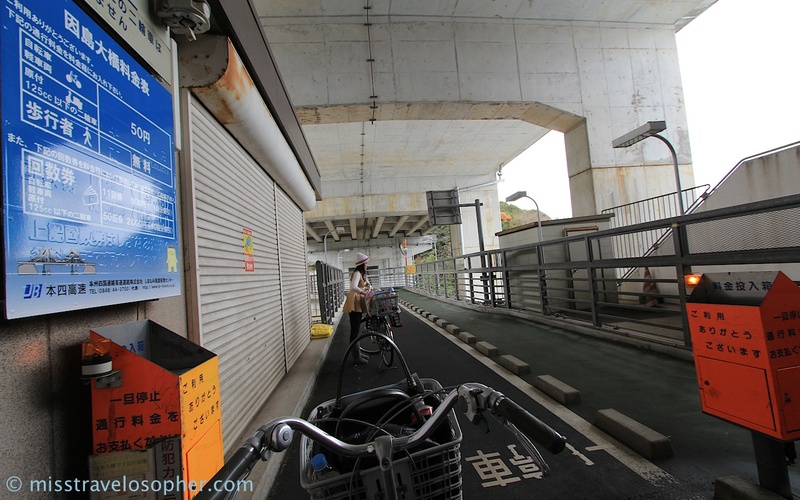 We pushed our bicycles up the winding ramps. 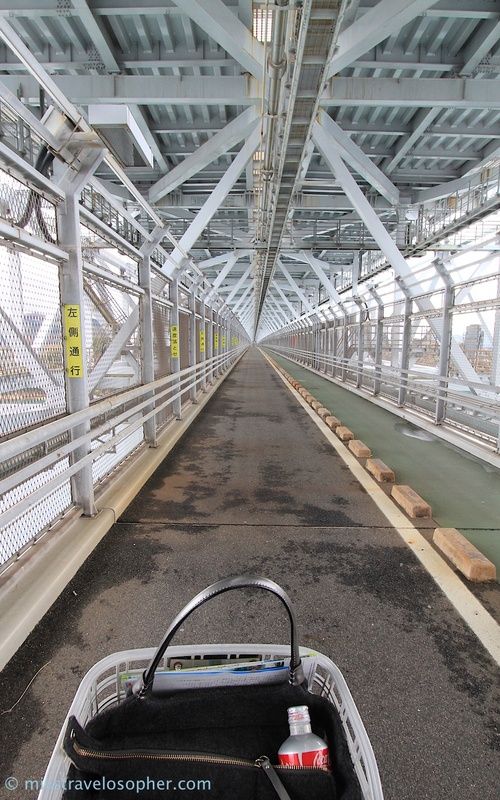 The Shimanami Kaido is a tolled road, bicycles are not spared. Hence, please prepare small change to pay the unmanned tolls at bridges. 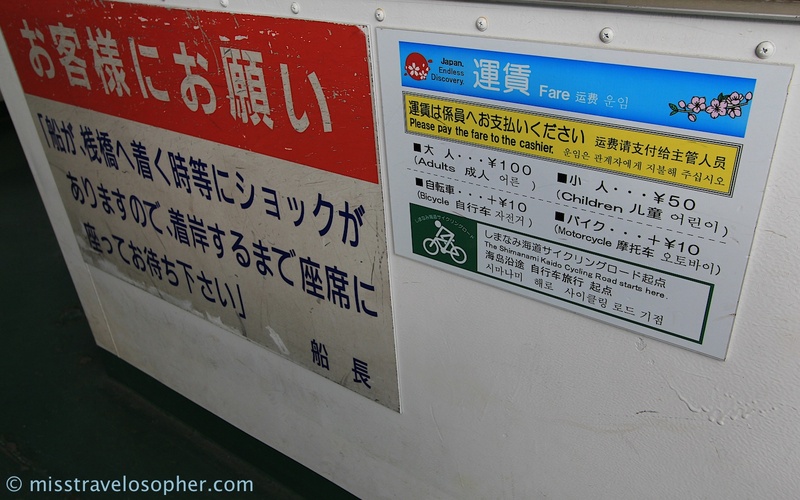 Most tolls cost 50 yen, with the exception of Tatara Bridge (100 yen) and Kurushima Kaikyo Bridge (200 yen). 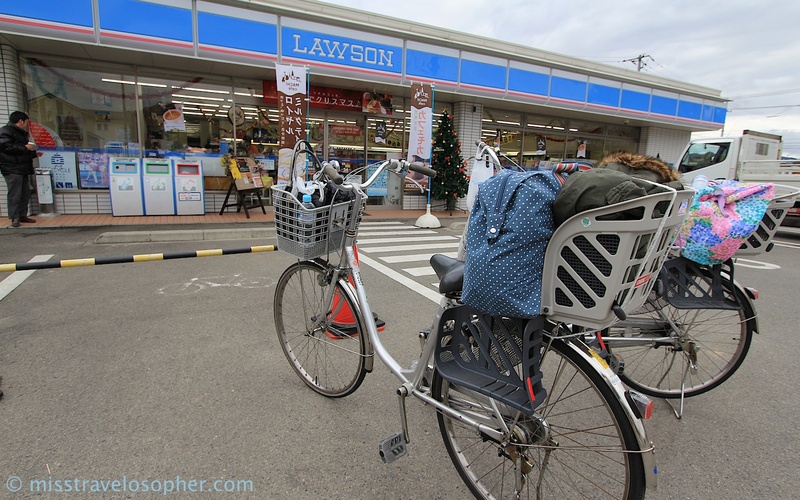 Pitstop at Lawsons – Thank goodness for the abundance of combinis even at rural areas in Japan! The roads after K were pitch black with absolutely no street lights. 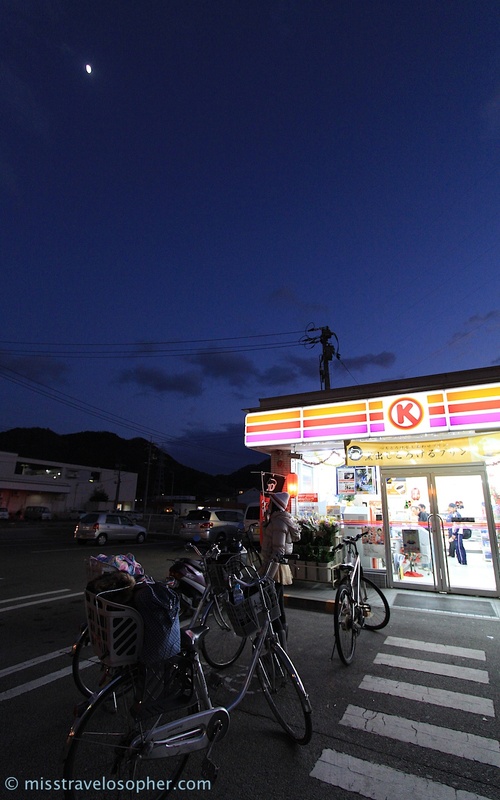 Impossible to cycle without any light, we started to push our bicycles along the route beside Sunset Beach. I managed to find a tiny torchlight in my bag which came with my swiss knife and used that little amount of light to shine the way. When we finally saw our hostel, we screamed for joy and OMG I almost teared. I was too tired to take any photos of the room, but I took a photo of the lovely dinner prepared by the landlady. I was famished. My stomach was crying for food. The price was a good deal. 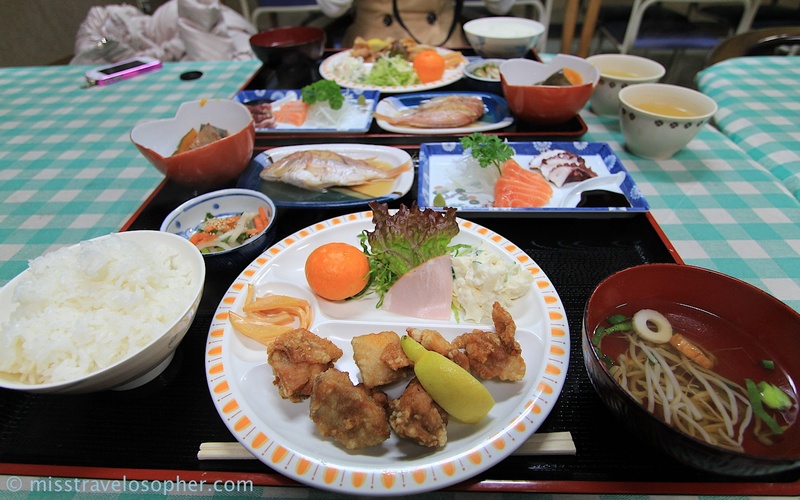 We paid 4,800 yen per pax for a night’s stay with both dinner and breakfast included. Did I mention this? 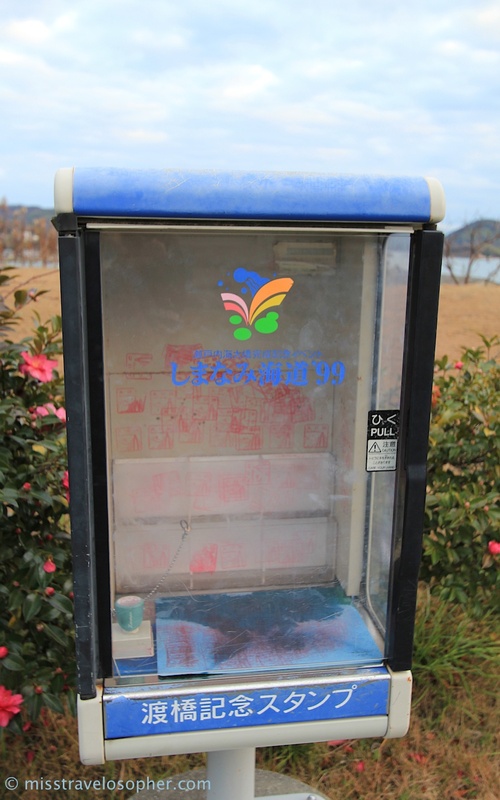 Onsen is included. 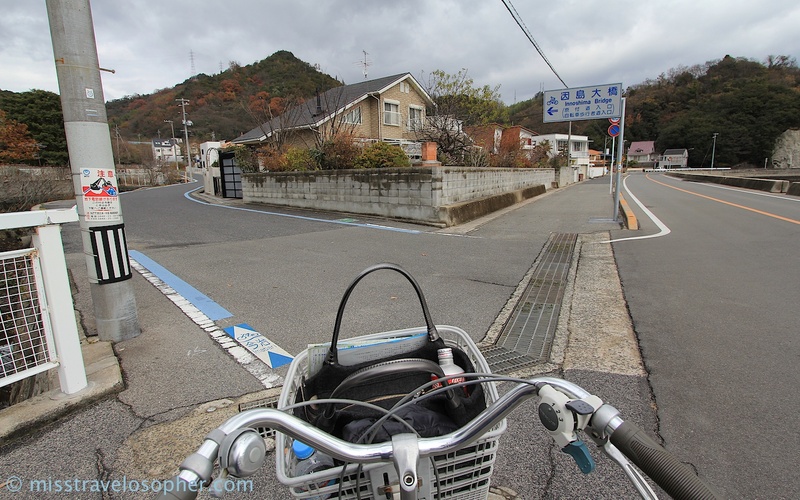 I tell you… onsen is the best thing ever after cycling for a whole day! Room is Japanese style with tatami mats and futon. Needless to say, I slept like a baby… Zzzz…. That’s all for Day 1 of my epic cycling road trip!! 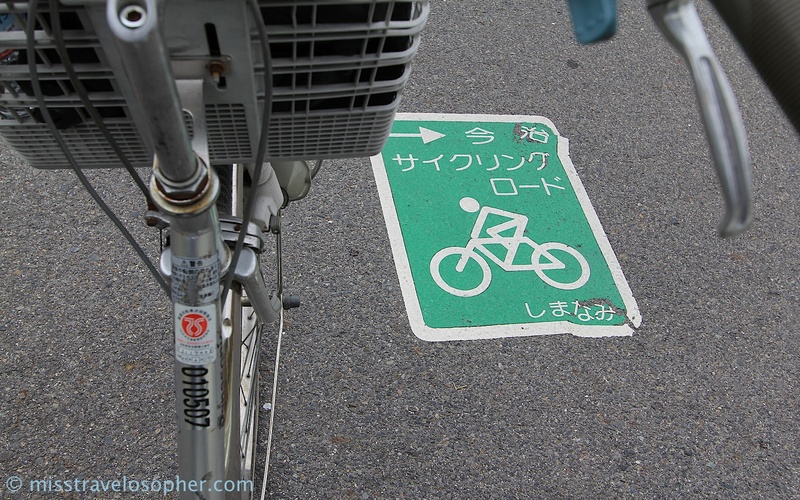 If you are not used to bicycling in Japan, be careful not to pedal it onto a national highway. 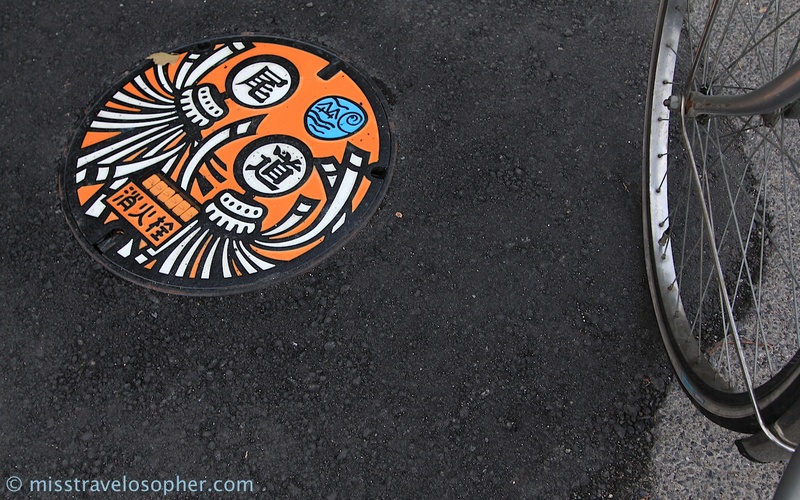 There are many streets that meet the highway but the sideways are too small for bicycles and dangerious Otherwise, it is all fun on a good day. 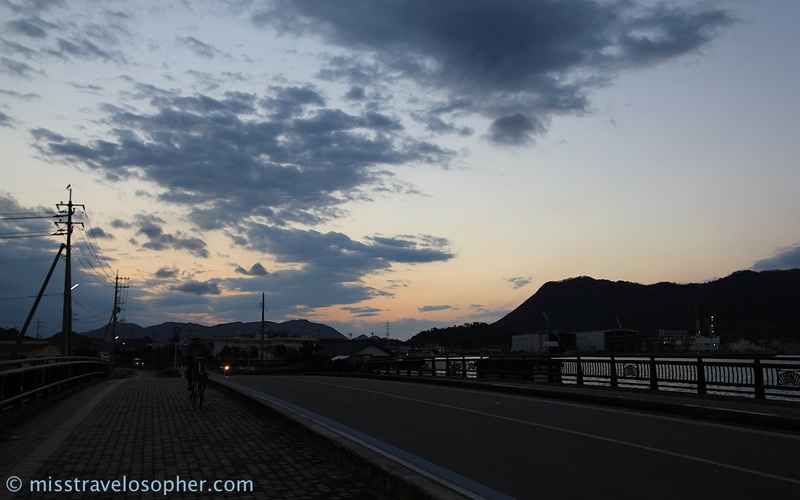 Pedal during daytime, and rest in a hot spring at evening eating good Japanese fish and sake afterward.